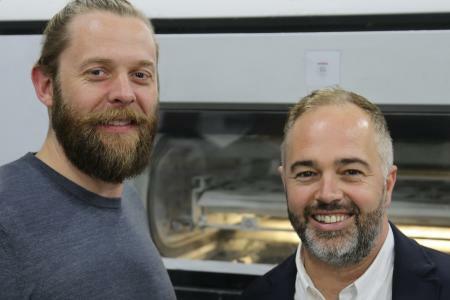 Onlineprinters, one of Europe's largest B2B online printing companies, is about to acquire Solopress, a leading player in the UK online printing market. Solopress was founded in 2004 and has grown significantly in recent years reaching 225 employees in 2016. With “print delivered tomorrow” Solopress is uniquely positioned to fulfil customer demand for speed and quality. Solopress’ founders Aron Priest and Andy Smith will continue to lead Solopress as Managing Directors and become shareholders of Onlineprinters Group. 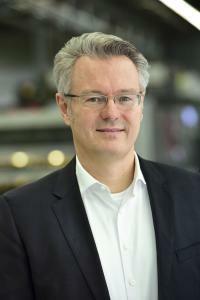 Last year Bregal Unternehmerkapital became the new majority shareholder of Onlineprinters partnering with Project A and founder Walter Meyer to lead the company to its next phase of growth. Onlineprinters GmbH is one of Europe's top online print providers. In line with the motto "Print simply online!" the company sells printed products to 600,000 customers in 30 European countries through its 16 web shops. 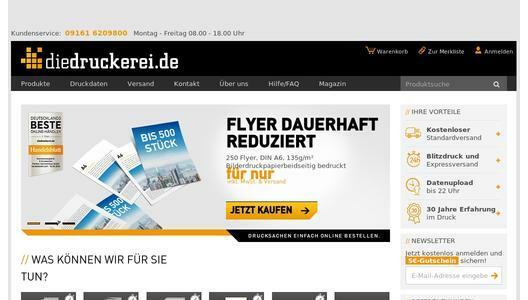 Internationally, the company is known under the brand name "Onlineprinters"; in Germany it operates under the name "diedruckerei.de". The product range comprises of 1,400 printed products from business cards, stationery and flyers to catalogues, brochures and large-format advertising systems. The formula to successfully produce customised prints in terms of Industry 4.0 rests on three pillars: online sales, fully integrated production from ordering to shipping and gang run printing. The latter uses so-called combined forms to collectively produce print jobs, therefore minimising costs and reducing the environmental impact. Selected products allow customers to choose the option of same day printing (produced on the same working day), overnight delivery, climate neutral production and custom size specification. 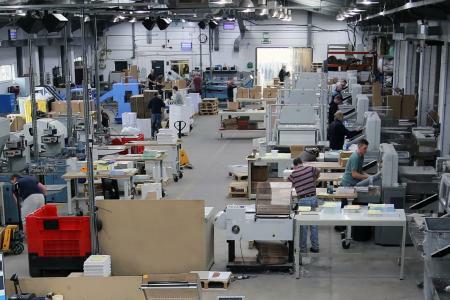 Onlineprinters GmbH employs 650 staff and produces over two billion printed items per year.